Just in time for Halloween, we wanted to publish a 3D printing tutorial on how to make scary glow-in-the-dark ghosts fridge magnets. 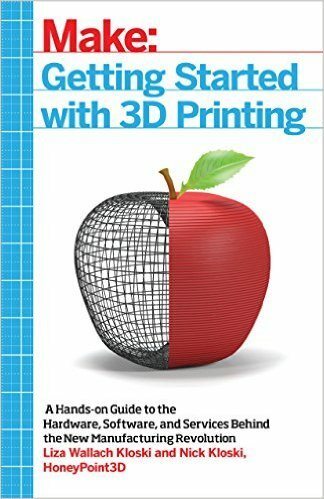 This tutorial is super easy to follow and is aimed at total beginners to 3D printing. Of course, more experienced users are welcome to try it out too. This detailed tutorial includes the following steps: (1) sourcing your ghost files, (2) preparing your prints in the slicing software, (3) preparing your printer (tips&tricks), (4) printing your ghosts and (5) adding the magnets. 6. Optional: Fine sanding paper (80 – 240 grain will all do the job). 1. The model of 3D printer is not relevant – you may use any model that you may have access to. If you have no 3D printer yourself, you should check if there is a 3D printer in your neighbourhood by using 3D Hubs. 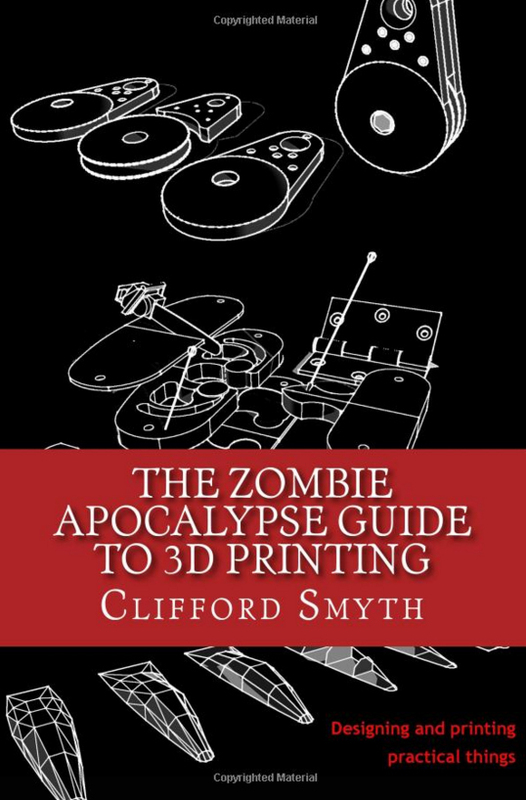 Alternatively, you can check with your local library, FabLab or HackerSpace. Then, you must just check whether the 3D printer is equipped with a heated print bed or not. Some printers need to heat up their build platform, so that the prints will not start to warp. If you don’t know what a heated bed and warping are, please read our comprehensive introduction to 3D printing, especially the part about the printbed. 2. Depending on your answer to the above, you will have to use either PLA or ABS glow-in-the-dark filament. To learn the differences between these two plastic types, please read our filament primer article. If your 3D printer has no heated bed, do get a spool of glow-in-the-dark PLA. If a heated bed is available, you can work either with glow-in-the-dark ABS or PLA. As this is a beginners tutorial, we are not getting into creating a ghost in a 3D printable format ourselves. Instead, we will simply download our ghosts from a special file library, called a “repository”. In this file library, people publish their creations for others to use. Please do read the licence which comes with each file, but normally, for as long as you do not start selling your prints, you should be fine. If you only use the 3D printed objects for your own private purposes, there should be no problem. For our tutorial, I am simply going to download some files from the Thingiverse repository, which is by far the biggest repository for 3D files currently in existence. But you may want to check out others, so feel free to use our listing of 3D model repositories. For this project, I used the following files: the Simple Ghost Pack by infrafox and the Scary Ghost Keyring by Fido. Both these files are shared under the the Creative Commons – Attribution – Share Alike license, and as I do publish photos and the current tutorial, I have to attribute the files to the names of their respective authors. Sorry for the boring legal stuff, but we are set now. Now, hit the “Download This Thing” button in Thingiverse and download the relevant “*.stl files” (a special format, which is readable by your 3D printer). For PLA: Infill: 100% – Speed: 50mm/s – Shells: 1 (or shell thickness: 0.4) – Temperature: 215°C – resolution: 0.2 to 0.3 (up to you). For ABS: Infill: 100% – Speed: 50mm/s – Shells: 1 (or shell thickness: 0.4) – Temperature: 235°C – resolution: 0.2 to 0.3 (up to you). We also recommend using a raft, as this will get you around any potential warping problems. If you are a bit short on filament, you can choose to only use 20% infill for the 3 ghosts of the Simple Ghost Pack. The Scary Ghost keyring however, as it is very thin already as a model, should be printed with 100% infill. Cura enables you to put all the ghosts on the printbed in one go, then print them one after the other. Although this may look practical, it quickly becomes messy if there is even just a hint of a problem. So just print one ghost after another, even if that means spending a bit more time with the slicer software, as you will need to slice one ghost after the other. Before sending your sliced file to your printer, you will need to do the following check-ups on your printer. Level your printbed. Install the spool with the glow-in-the-dark filament. Check your printbed again, so you are 100% sure it is perfectly levelled! The use of blue painters tape to make the first layer stick may be necessary. Optionally, we recommend using Elmer’s glue (for our European readers: use a Pritt stick) and put some glue on the exact spot where your ghost will be printed. You are set. Turn on your printer, the printbed (if applicable) and let it all heat up. Hit print. Not much to add here, just print as many ghosts as you want. After you have finished printing your ghosts, let them cool down and take them off the printbed. Should they stick, use a spatula on one of its edges and gently push the spatula forward until the 3D printed parts pops off the printbed. If you destroy the painters tape in the process, you must renew it, before you print a new ghost. Also, it may wear out with time, so it will need replacement after a few prints. You will notice one the filament does not stick anymore. Take your ghosts, gently break away the rafts (if you printed them with rafts) and clean any sharp edges with fine sanding paper. With your scissors, cut small strips of the magnet tape, so that they fit over the whole body length of each ghost. Magnetic tape does not have real strong magnetic properties, so better use a bit more tape than not enough. You don’t want your ghosts falling of the fridge all the time, do you? Alternatively, you can use small flat magnets or, for super stickiness, use neodymium magnets. Glue your magnetic strip or your magnet to the ghost. We do prefer using universal glue (although it takes a bit longer to dry then superglue), as it far less messy and more forgiving then cyanoacrylate. If universal glue is your choice, putting some clamps onto the glued ghost will help achieve perfect adhesion. Once dried, you can put up ghosts on any (ferrous) metallic surface throughout your house. If you want them to glow quite brightly, just “charge” them by using a high-powered flashlight. Tip: Alternatively, you can also drill small holes into the top part of the three ghosts from the “Simple Ghost Pack” and transform them into glowy keyrings. The scary Ghost was already intended to be used as a keyring and comes with a preset hole. These keyrings can prove quite valuable if you lose your keys in complete darkness. They will absorb the light from a passing flashlight and will be easily found through their glowing if you don’t manage to see them immediately.